Most Worshipful Bobby L. Laws is from Altus, Oklahoma. He retired from the U.S. Air Force after 27 years of active military service. In that time, he achieved the top 1% of all enlisted ranks and graduated in the top 1% of the Air Force Senior NCO Leadership Academy. 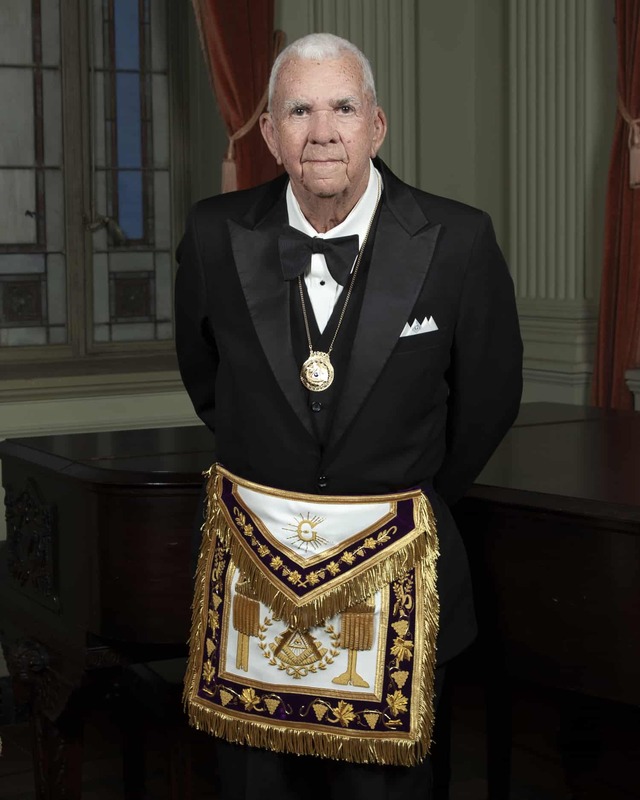 He was Raised at Union Lodge #28 in Georgia, and, in 1975, affiliated with Altus Lodge, were he is a perpetual member. He served that Lodge as Worshipful Master in 1978 and again in 2003. 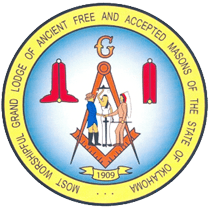 In addition to Altus Lodge, M. W. Brother Laws is a member of Albert Pike Lodge, Cordell Lodge, Frederick Lodge, Mangum Lodge, Hobart Lodge and the Oklahoma Lodge of Research. He has served as Secretary or Treasurer of Altus Lodge for many years, and has also served as Treasurer for Yeldell and the Lodge of Research, as Junior Steward for Frederick Lodge, and is the current Chaplain of Albert Pike Lodge. MW Laws served as Grand Master in 1990 and as Grand Secretary in 1992 and 1993. He has served on many Grand Lodge Committees and commissions. He is a member of the Guthrie Scottish Rite Valley, and holds the 33° Grand Cross. For five years he has been the Chairman of the Membership Committee. Bobby also directs and acts in the Degrees at the Temple, perhaps most notably as John the Baptist in the 17 °. He is Past Commander, Council of Kadosh. In the York Rite, he is a member of Altus Chapter #60, Altus Council #33, and Elk City Commandery #22. Since 2005 he has been Secretary/Recorder for the Altus Bodies. MW Laws is a member of the India Shrine Temple and of Altus Chapter #49, Order of the Eastern Star, which he served as Worthy Patron in 1985 and has served as Sentinel for the last 7 years. He is also a member of Tinker Chapter #43, National Sojourners.